The net profit dipped to Rs 455.19 crore compared to Rs 548.59 crore in the same period. 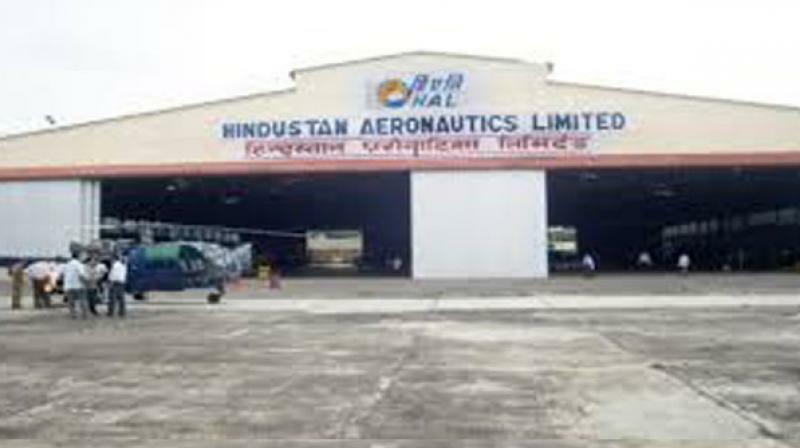 Mumbai: Hindustan Aeronautics Limited has reported revenue from operations increased to Rs 4,425.26 crore during the October to December quarter of current financial year 2018-19 compared to Rs 4,278.24 crore in the same period of last fiscal. However, the net profit dipped to Rs 455.19 crore compared to Rs 548.59 crore in the same period. The earnings per share also came down to Rs 13.61 in Q3 of FY19 from Rs 15.33 in Q3 of FY18, said the government-owned aeronautics major in a filing before stock exchanges on Monday. HAL said a fraud involving misappropriation of funds by a company official in collusion with six contractors has been noticed by the management and referred to the vigilance department for further investigations. "The vigilance department based on the investigations has lodged FIR with Central Bureau of Investigation (CBI) in Bhubaneshwar. An amount of Rs 1,876 lakh has been provisionally assessed as fraudulent payments made to contractors during the period from December 2013 to September 2018, and reported in the FIR with CBI," the company said. The matter is under investigation by CBI, it said.